The The Buffet is a restaurant inside Island View Casino Resort in Gulfport, Mississippi. Great variety but the steak pieces were too tough. The ribs were dry. A few other things were somewhat bland. Ice cream was hard not soft. With the right flavour corrections Panda could be the best around! I love this Place The Oysters and Sushi were phenomenal! My Waiter Jason was the best ever he went above and beyond! Everything was Clean and Organize to say it was a buffet! For the price, it's good. There are cheaper options in Gulfport. Not a big fan of buffet style sushi though. Super friendly staff. Our server got along with our 2 year old so well, and she helped a lot!! Food was awesome! 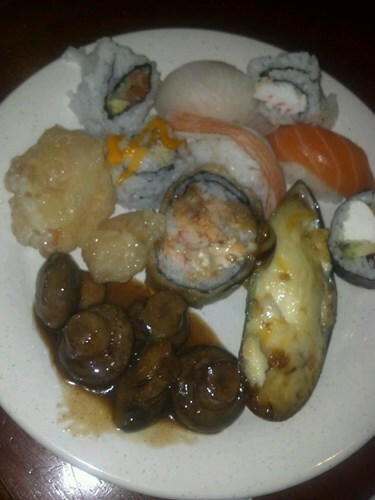 Yummy, plenty to choose from at the buffet, fresh made sushi, and all for a great price if your going for lunch, price is a bit high for almost the same selection at lunch. I won't pay the dinner price. But lunch is great so go and enjoy! Absolutely disgusting! We had this place for dinner and could not have been any more disgusted with the food. All cold at 6pm! Service was terrible!! Pretty good as far as this kind of place goes. Some of it was decent some of it not so much. Probably wouldn't come here unless a Chinese buffet is exactly what you wanted, but if it is this one is ok. Also deducting a star because they had CNN playing. Don't need to see that filth while I'm eating. Great place to eat with your family. The food is great and fresh and hot! The staff are polite and friendly, the facility is clean. Boring buffet. Variety was okay, but most of it was much too bland to justify the price. Fine for the time, but I wouldn't return any time soon. Great food! Love their frog legs! I don't eat the sushi so I can't rate that, but everything else was great!